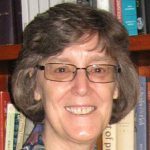 What is it about Benedictine spirituality and history that enables it to be so formative of people’s humanity across time, ecumenical boundaries and cultural divides, asks Good Samaritan Sister Carmel Posa. In his little Rule for monks, Saint Benedict called his monastery “a school of the Lord’s service” (Prologue, 45). This school is one of life-long desire for God and love of learning. It has created a 1,500 year-old tradition of Benedictine wisdom which has shaped the Christian lives of many both within and beyond the walls of monasteries. What is it about Benedictine spirituality and history that enables it to be so formative of people’s humanity across time, ecumenical boundaries and cultural divides? What makes its insights into the nature of humanity still relevant in our struggle for meaning and purpose in our own era? Benedictine spirituality can provide a tangible experience of the presence of God in a time that has forgotten the transcendent. It stresses the necessity for making space for prayer in a time when every minute of the day is filled with anything but silence and contemplation. It emphasises the importance of community and order in a time of rampant individualism and confusion. It values hospitality in an age hostile to those who are strangers or different. Benedictine spirituality appeals to simplicity in a time of staggering abundance on the one hand and tragic scarcity on the other. It appreciates sufficiency in a time of unbridled economic greed and acquisitiveness and appeals to stewardship in a time of mindless exploitation. Finally, and perhaps most relevant to our own times, it can provide a source of meaning in an age that has lost its bearings and sense of what it is to be human within our vast and varied global family. The Benedictine tradition models a vision of authority and leadership that is not dominating and manipulative power but a power that is open, collaborative and continually developing. It understands the importance of obedience not as something that stifles creativity but enhances it through commitment to a process of listening deeply and discerning the wisdom of God, others and the world. It values a sense of stability that insists on staying with the difficult rather than seeking to escape the realities of everyday life, and it lives the humble acknowledgement that all is not known or knowable, and that continual conversion is at the heart of finding one’s true humanity and freedom in God. In our world of the twenty-first century, torn by conflicts, product driven, economically hungry, and politically divided, the Benedictine tradition can truly be a source of transformation for a humanity that continues to question its purpose and identity in the midst of life’s struggle to live together with dignity and in peace and unity. This tradition is Gospel-centred, and holds the mystery of Christ as its primary focus for our Christian lives whoever we are, from whatever denomination and walk of life. At the heart of this mystery is the rhythmic cycle of punctuating the day with the memory and presence of God through liturgical prayer in common and the awareness of the other in our midst. It is within this environment of prayer, community and hospitality that the Benedictine Community of New Norcia in Western Australia seeks to continue and expand its commitment to sharing Benedictine wisdom with others, through the establishment of the New Norcia Institute for Benedictine Studies in association with the Good Samaritan Sisters of the Order of St Benedict. The Institute seeks to provide opportunities for all who long to deepen their wisdom and knowledge of Benedictine history and spirituality through the provision of study weekends, retreats, academic courses and research facilities. It is hoped that the desire for God and the love of learning will help create a vibrant community of all those yearning for spiritual development and knowledge; friends, scholars, laity, religious and clerics alike, who through the intersection of the Benedictine tradition with life, ministry and culture might be a sign of hope in our hungry world. Good Samaritan Sister Carmel Posa has been a member of the theology faculty at Notre Dame University, Australia since 1998 and is presently Director of the New Norcia Institute for Benedictine Studies at New Norcia. Carmel has a strong academic background, having been awarded a Master of Arts in Theology in 1996, majoring in Monastic Studies from St John’s Collegeville in Minnesota and a PhD from the Melbourne College of Divinity in 2009.